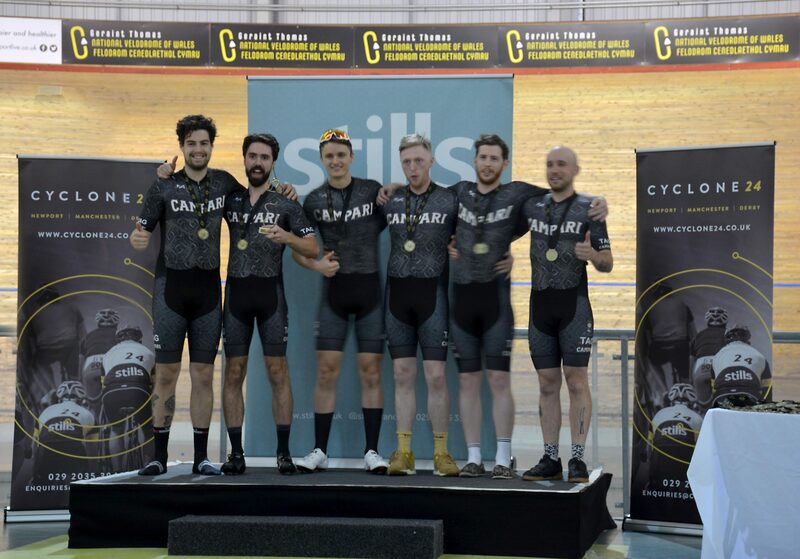 The team here at TAG are delighted to announce that we won first place in the Cyclone24 challenge, an exhausting 24 hour endurance race at the Geraint Thomas National Velodrome. Racing for charity we raised over £1,200 for the Velindre Cancer Centre, with the event raising over a staggering £10,000 for local charities all together. The TAG team, which was made up of six members including our Project & Creative Director, Tyron Stephens-Smith, managed to complete an impressive 3836 laps in 24 hours which is 959km, breaking the Welsh record for the event in the process. The race was extremely close between the TAG team and second place Team VaTex, with a gap of less than 2 laps from start to finish. With just a 30 second lead after 24 hours, our team won by only 500m in an intense finish. Our team rider, Charlie Calvert, (remember that name when he’s winning the Tour de France) held off the intense pressure of Team VaTex to the end in the final laps. Tyron said: “I can honestly say the challenge was the hardest thing I’ve ever done both mentally and physically. Everyone in the team put in 100% effort each and every time they were on the track and we couldn’t have tried harder. TAG would like to say a huge thank you to the whole team and to everyone who supported us and donated to help us reach well over our target goal. We would also like to say a big thank you to Campari UK, Velodomestique and Joseph Carpentry for sponsoring us in the event and providing us with the fantastic team kits! If you haven’t donated or would like to donate again, you can still do so by visiting out JustGiving page at justgiving.com/fundraising/cyclone24-tagukltd2018.